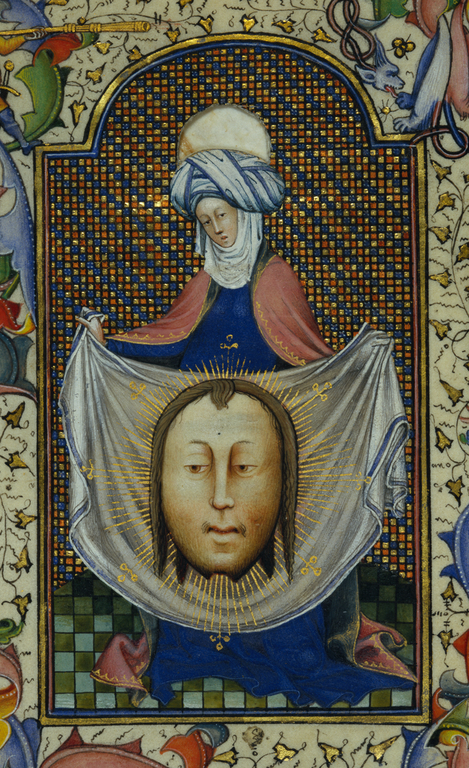 According to legend, Saint Veronica wiped the face of Christ with her veil (or sudarium) as he carried the cross to Calvary, and the veil retained an imprint of Jesus' likeness. This holy relic was revered as a true likeness of Christ and became a popular devotional image that artists reproduced in various media. 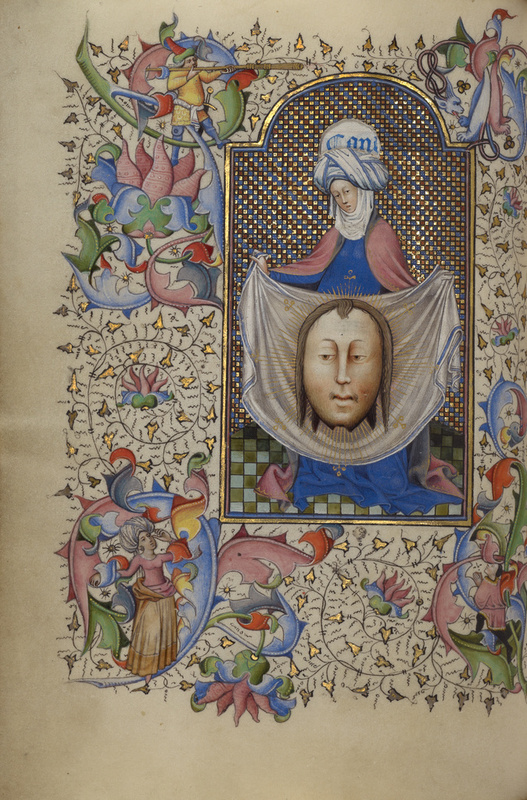 This miniature introduces a prayer on the opposing page to the Holy Face of Christ (Salve sancta facies), which was written around 1300 and is often incorporated into books of hours. The popularity of this prayer testifies to the growing interest in the later Middle Ages in Christ's suffering during his Passion.